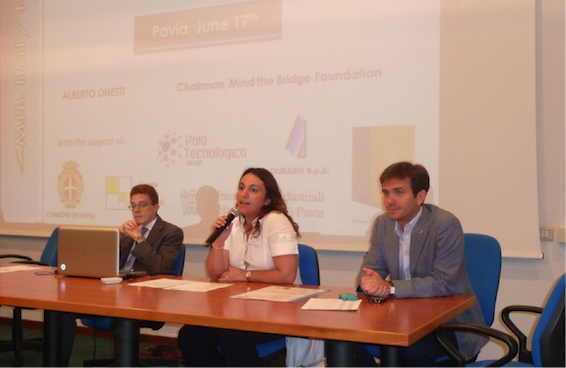 Mind the Bridge: Great day in Pavia! Learn more about the selected startups..
Great day in Pavia! Learn more about the selected startups.. Startups, enthusiasm, constructive feedbacks, terrific speakers.. that’s what you need for organizing a successful event! Yesterday, we recreated for a day the atmosphere of Silicon Valley in Pavia, involving startups, entrepreneurs and investors, students, Ph.Ds and whoever was interested in learning how to turn an idea into business. The introductions of the Mayor of Pavia, and of Margherita Balconi and Annalisa Tocchio, respectively the President of the local Polo Tecnologico and industrial association immediately set the tone: create an ecosystem in Pavia to support a new generation of Italian entrepreneurs. 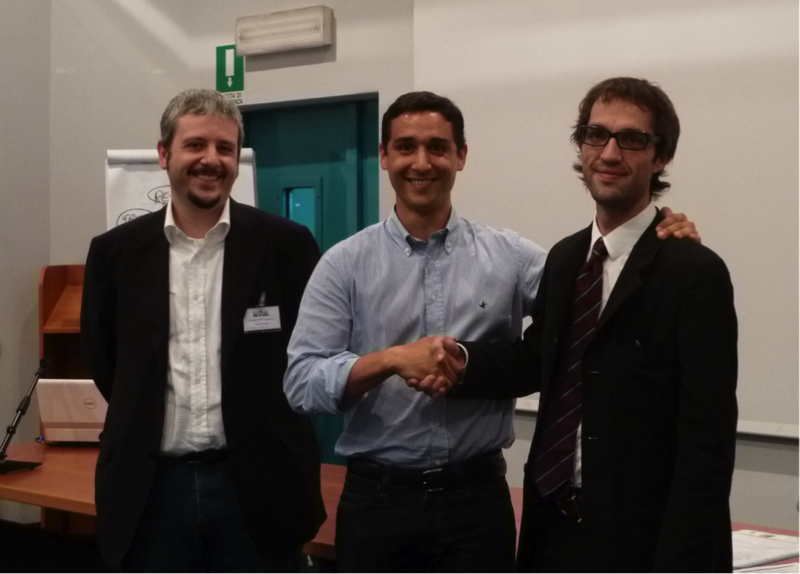 The speeches of Alberto Onetti, Charles Versaggi and Fabrizio Capobianco inspired the participants. And in the afternoon, a Gym session. Six startups were invited to present their innovative business idea, in front of a panel of experienced investors and entrepreneurs. Let’s briefly introduce them! Among the early stage ideas we heard from Linksten - a mobile application that reproduces a short jingle during the idle time while your smartphone opens a link, THE WHITE RABBIT – an innovative software platform aimed at providing innovative solutions for business, education, healthcare, home and social needs through touch-screen applications - and EasyGoing - a multi-platform (social web, website, SMS, mobile app, telephone) management system for car pooling. The presenters got a lot comments, feedback and tips that for sure will help them to focus more on their business and exploit their business idea. Danmax Tech Solutions, tpenso and iLIKE.TV presented their prototypes and products. Danmax Tech Solutions produces an universal charger for cell phones to be applied into the wall’s outlet. iLIKE.TV, structured as a web tv channel on cross-media social platforms, allows users to be involved to the shows, influence and interact with them via a secondary screen. tpenso presented its product - Margerita Salvadita - an innovative device that reduces the risk of needlestick injury from syringes. Then a lot of good and promising ideas…and - for one of them - an incredible opportunity to make it happen. We were able to open the door of the MtB Gym to one of the 6 startups. This thanks to Durabo, whose general manager - Tommaso Mazzocchi - volunteered to offer this opportunity to one of the startups in memory of his father Antonio. 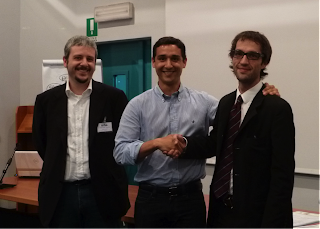 Carlo Giuberchio, tpenso founder, received the best of the day award. For him a 3 months stay at the Gym, the mentorship program held @ Pier 38 in San Francisco. Great opportunity for exploiting the business potential of his device! Carlo, see you in two weeks in San Francisco! All the others, see you on Wednesday next week in Genova! Super-closing for the MtB Italy Tour 2011!